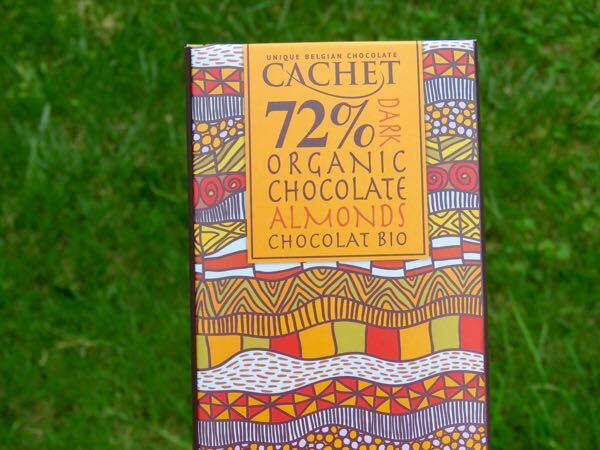 Today's Cachet 72% Organic Dark Chocolate with Almonds bar was made with cacao from Kyela, Tanzania. 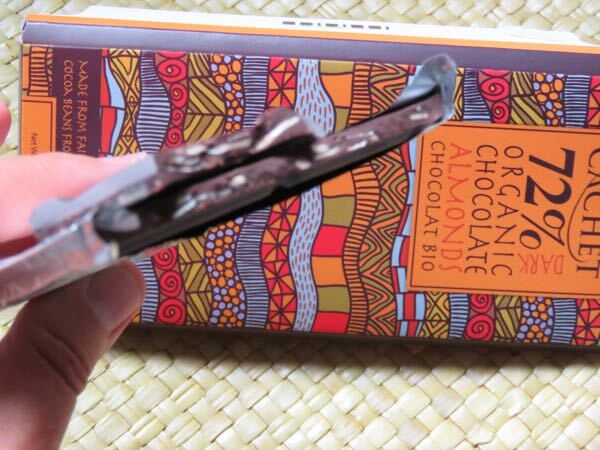 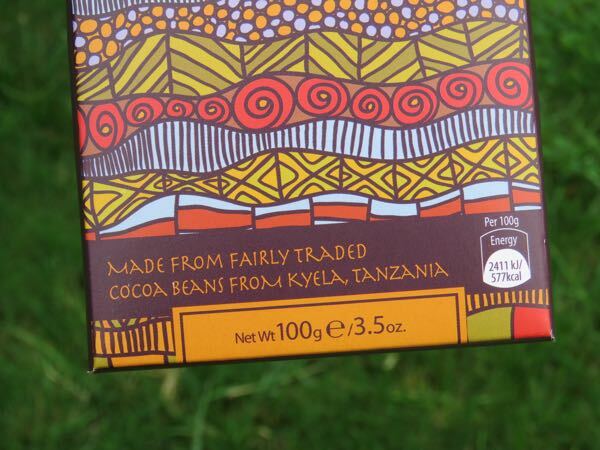 This relatively thin, dark, flavorful and smooth bar in the African-themed print packaging was quite good. 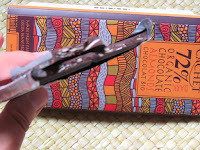 Almond pieces gave the chocolate a slight nutty, almond flavor and crunchy texture. 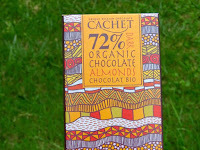 The organic (bio) bar was also the favorite pick for this almond-themed chocolate week so far. 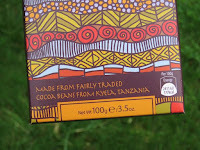 Sadly, this Biolands Tanzania bar was out of stock when we tried to order more at the Chocolate Stars USA website today.